I love your blog! It is so well-written, a pleasure to read! thanks for sharing. OT: narcissa how should I call you now with the name change? Anyone remember the denim boy? I am completely blanking on his name and I could go through videos I guess but thought I'd ask first. Thank you kindly! I really liked him, so I want to put him on my watch list. Thanks, thanks. I saw photo of Sihyeong with Joshua Farris this week, not sure where he's training. Oh breadstal, hello! I had no idea you joined us too! Welcome. And oooh, now that's interesting. Well he wouldn't be the first or the last to have a short summer time away from his primary rink, so hopefully he can pick up some good things for the new season. He's staying in Juniors one more year I presume? Hello :grin: I hope he will bring another iconic programs :bow: Yes, he will for sure. I'm curious if he's working on something new to bring out for next season (3A would be great). Anyway quick question, who is going to go to Nebelhorn for the men? Jun Hwan? I know the ladies won't need to because they already secured 2 spots. For sure they will send Jun-hwan, it will be good first senior competition too. I'm curious about pairs though, probably Kim siblings. 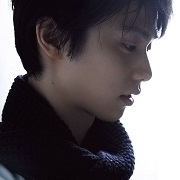 Yeah, I think Jun will get Nebelhorn, it will be his senior debut too. Any news on his programs next season ? I thought their pairs just recently split but maybe I'm wrong? Anyway, I am pretty sure I read up that Korea was guaranteed a spot due to being the host? No matter what happens? So if there are 30 skaters slot that are filled they would have 31 to accommodate the host? 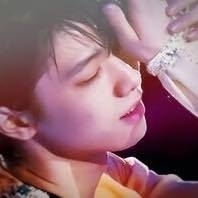 (Though I would like to think Jun Hwan will qualify from Nebelhorn no matter what, but just in case).